There are several variations in the equipment layout and method of operation of continuous digesters. The chip feed system both pre-conditions, and transports wood chips to the continuous digester. 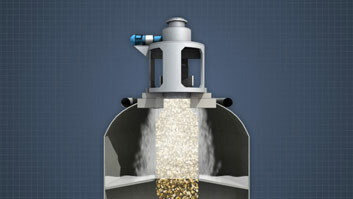 The high pressure feeder transfers chips from a low pressure environment to the higher pressure of the digester. In a continuous digester, wood chips are surrounded by alkaline liquor and "cooked" at high temperature for a couple of hours. This cooking process digests, or breaks down, the lignin, or glue, which holds the cellulose fibers together. 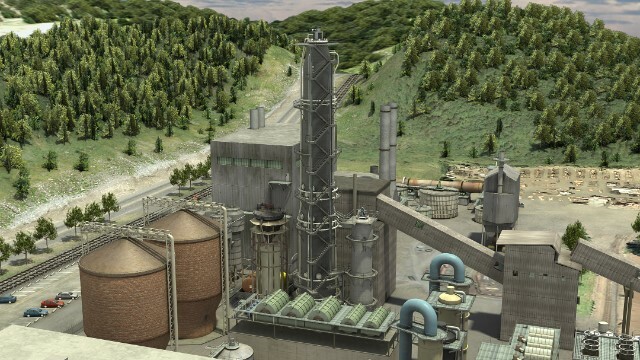 This course provides an overview of a continuous digester cooking system. It describes the general flow of fiber through the mill, the difference between batch and continuous cooking, the variables that are important to the cooking process, and the major pieces of equipment in the cooking process. 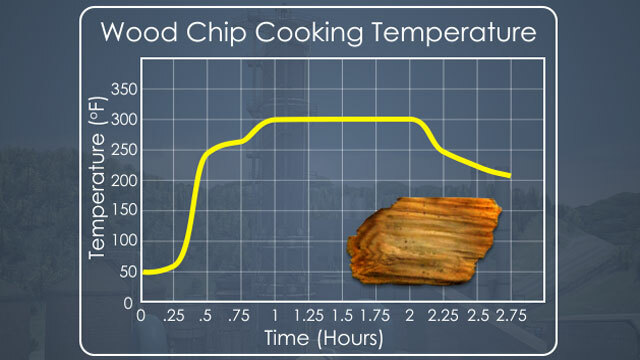 What does "cooking" a wood chip refer to? Cooking wood involves using a combination of high temperature, pressure and alkaline chemicals to dissolve the lignin, the organic compound that hold the fibers together. What are some of the advantages of continuous over batch cooking? Some of the advantages of continuous cooking include reduced space requirements, improved control, and improved energy efficiency. 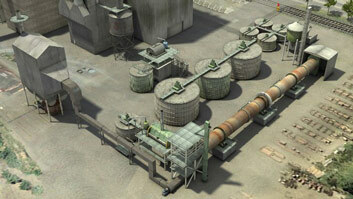 How are wood chips transferred into a continuous digester? 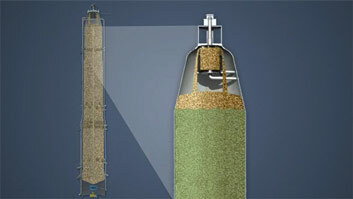 Chip are transferred to a continuous digester using a special high pressure pocket-type feeder. 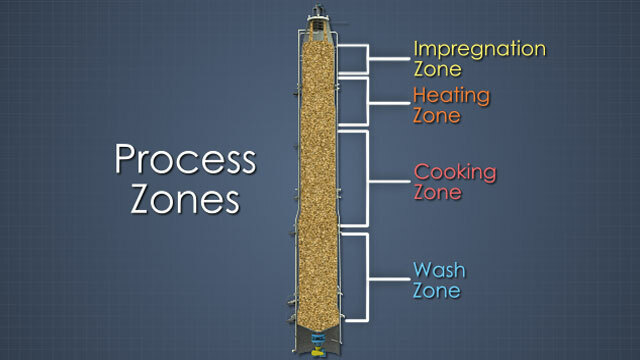 How are different process zones established in a continuous digester? Process zones are established by withdrawing liquor through the screened openings in the side of the digester and re-introducing the liquor through a pipe in the center of the vessel. What are some of the factors which affect the cooking of wood chips? Some of the factors that affect the final pulp include the species, moisture and size of the chips. Within the digester, the strength, and temperature, as well as the time spent within each zone affect the pulp quality. 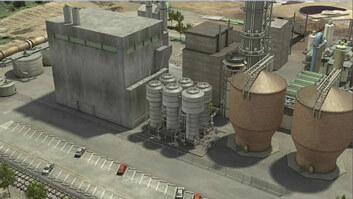 Continuous digesters can be up to 200 feet tall and range in diameter from 12 to 18 feet. Chips and cooking liquor are delivered to the top. Excess liquor that was used to transport the chips is removed and the chips slowly move as a plug down the length of the digester over a period of several hours. Screened outlets along the outer wall of the digester allow liquor to be withdrawn at different elevations down the digester. 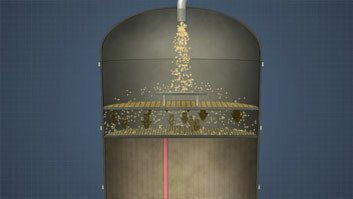 A liquor distribution system, which consists of a set of concentric pipes extending down from the top of the digester, permits liquor to be introduced into the flow of chips at multiple elevations inside the digester.